IMMA recently invited writer Sue Rainsford to respond to Niamh O’Malley’s The Memorial Gardens, 2008, which is featured in our current exhibition IMMA Collection: A Decade. The response is in the context of Art | Memory | Place, a year-long programme focusing on artists whose work addresses themes relating to memory and place. 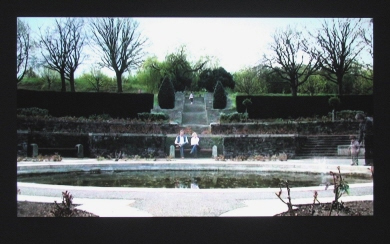 Made in 2008, while participating in IMMA’s Artist Residency Programme, The Memorial Gardens by Niamh O’Malley is an installation comprising footage taken at the National War Memorial Gardens in Islandbridge, Dublin, projected onto oil on etched-primed aluminium. 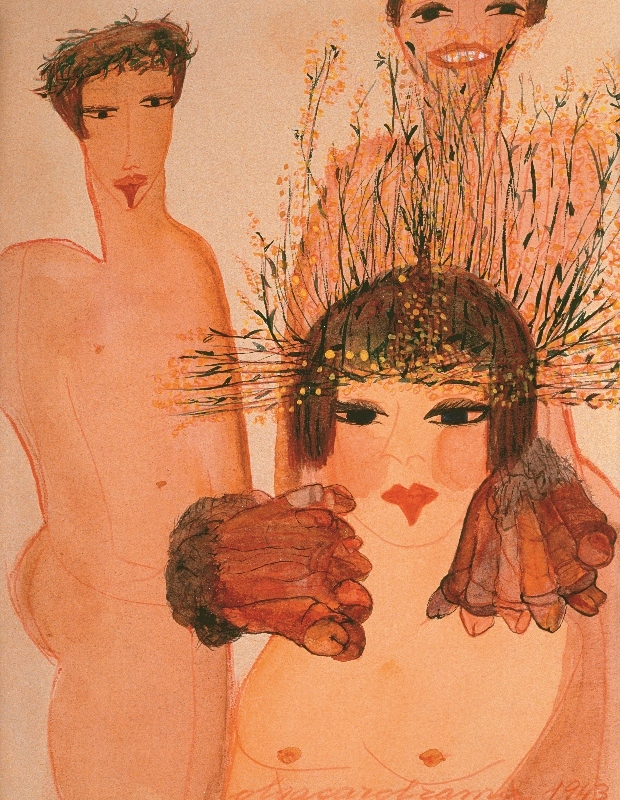 John Berger writes that ‘Without a pictorial language, nobody can render what they see. With one, they may stop seeing.’ Memorial Gardens grapples with this issue of becoming too familiar, too anticipatory, too enmeshed with the mechanisms of seeing to catch a glimpse of the thing itself. It is a rarity, indeed, that we truly behold what we see. The break O’Malley prompts in our viewing doesn’t signify an epiphany – our way of engaging with the world hasn’t been altered. Rather, we have been reminded of what we bring to our surroundings when we consider them, and affirmed is how deeply we require the slippage of personal interpretation, the mistakes of understanding that might be organic or repressive, stringent or lyric. It is a necessary compulsion. The break in the projection is not intended to impede the act of looking, but to encourage a deeper probing, a going past the tenuous ‘top layer’ of our individual impressions.